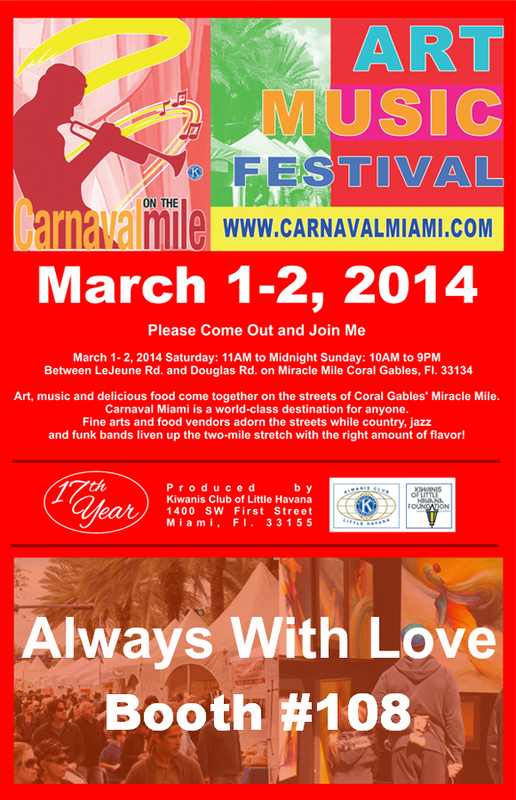 Visit me at the Old Cutler Arts & Crafts Festival! 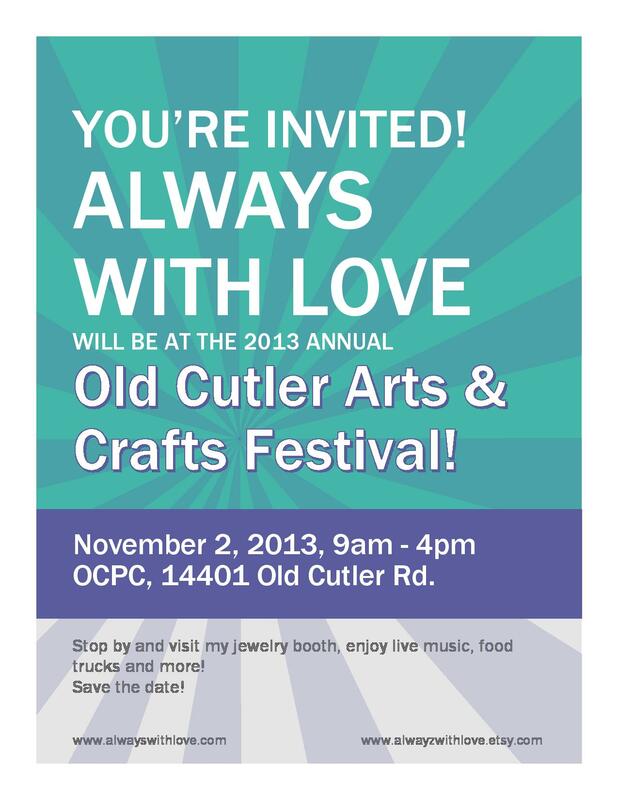 I’m so happy to announce that in November 2, 2013 I will be participating at the OCPC Arts & Crafts Show! Woot, Woot! Its is very exciting news for Always With Love as it is our first major outdoor event and I can’t wait to show off my jewelry! So, please save the date for November 2, 2013 and come visit me! I will have jewelry from every price range, perfect time to get started on your Christmas shopping.